Photo courtesy of the Rock & Roll Hall of Fame facebook page. The Rock & Roll Hall of Fame is located in Cleveland, Ohio. This past weekend, a new class of musicians have been inducted into the Rock and Roll Hall of Fame. The list includes: The Cure, Def Leppard, Janet Jackson, Stevie Nicks, Radiohead, Roxy Music, and the Zombies. This was the 34th Induction Ceremony, taking place in Brooklyn, New York. In conjunction with the induction ceremony, the Rock Hall will unveil its 2019 Inductee exhibit at the Museum in Cleveland, Ohio. Over the years, the Rock Hall has included a variety of Rock artists. This has was seen with the induction of the first class in 1986 including artists like Elvis Presley and Buddy Holly and how the Rock Hall has expanded to the music of Prince, Billy Joel and Bon Jovi, who were members of the 2018 inducted class. However, fans have a say in each new class as well. “Beginning in 2012, fans were given the chance to vote for the nominees they’d like to see inducted into the Rock Hall. The top five vote-getters in the public poll form one ballot, which is weighted the same as the rest of the submitted ballots,” the Rock Hall’s website says. There are several classes to be inducted into the Rock Hall, but the most popular is the Performer category. 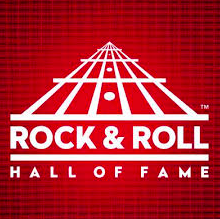 The other classes of inductees include the Ahmet Ertegun Award (which honors songwriters and producers), Early Influences (those who pre-date the birth of the genre), Rock & Roll Hall of Fame Award for Musical Excellence, and the Singles Award (which focuses on the songs “which have established a permanence in our history and influenced rock and roll,” according to the Rock Hall’s website. Other nominees for the 2019 class included Devo, Kraftwerk, LL Cool J, MC5, John Prine, Rage Against the Machine, Rufus, and Todd Rundgren. Musicians can also be inducted into the Rock Hall more than once. Eric Clapton currently holds the highest number of inductions, with his work in the Yardbirds (inducted in 1992), Cream (1993) and finally for his solo career in 2000. Besides this, all four of the Beatles have been inducted twice, once as a band and then individually. From this year’s inducted class, Stevie Nicks already holds a place in the Rock Hall from her work with Fleetwood Mac, who were inducted in 1998. Artists and groups who currently have multiple nominations but have not been inducted yet include Chic, who have had 11 nominations, and The J. Geils Band with five, and Ben E. King with three.